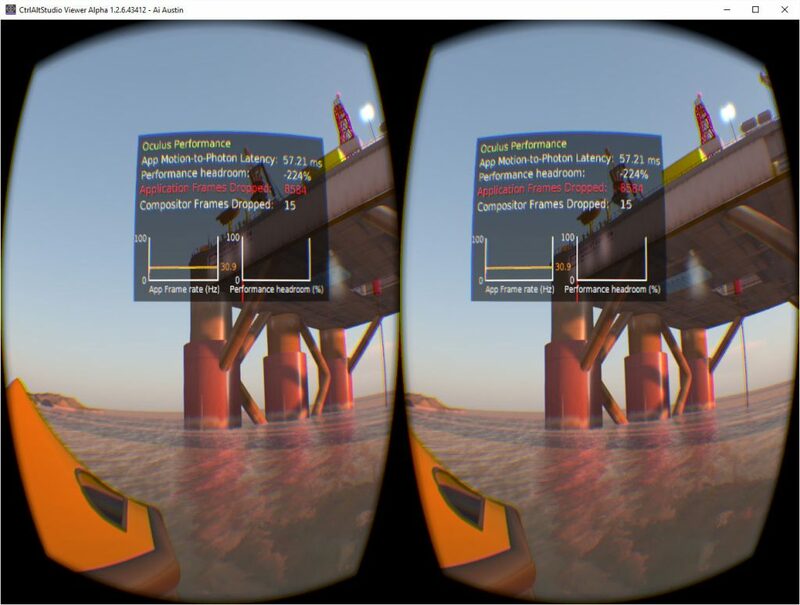 To be honest, this blog post started out as a test of the performance with various graphics options to try CtrlAltStudio viewer with an NVidia GTX1080 GPU. But the performance even on maximum “ultra” graphics settings with shadows was so good, I only tried options of shadows on (left hand images in the pairs below) and off (right hand images in the pairs below). Turning off shadows does make a difference to the frames per second. I left all other settings at Ultra. I just decided to enjoy the experience. It really is outstanding! 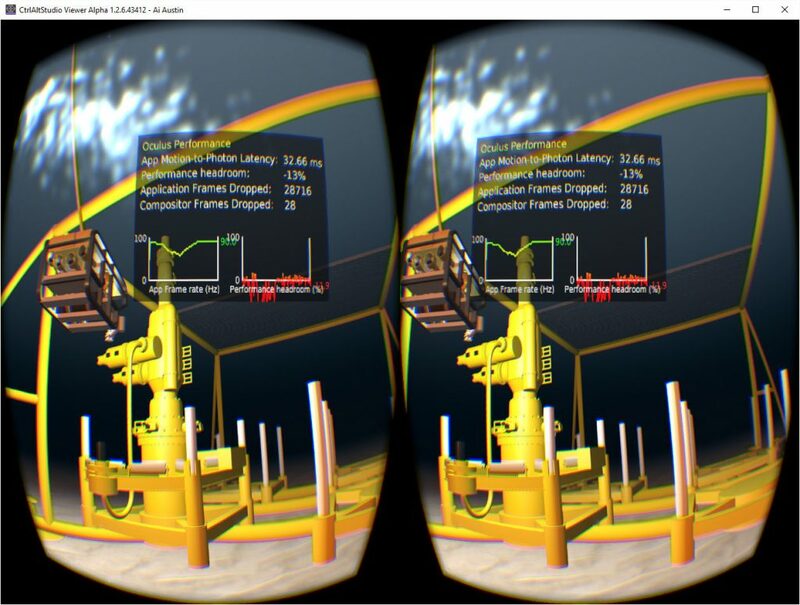 Tests have been conducted of the CtrlAltStudio Viewer 1.2.6.43412 in a realistic setting in which virtual reality (VR) may be typically used for professional purposes. 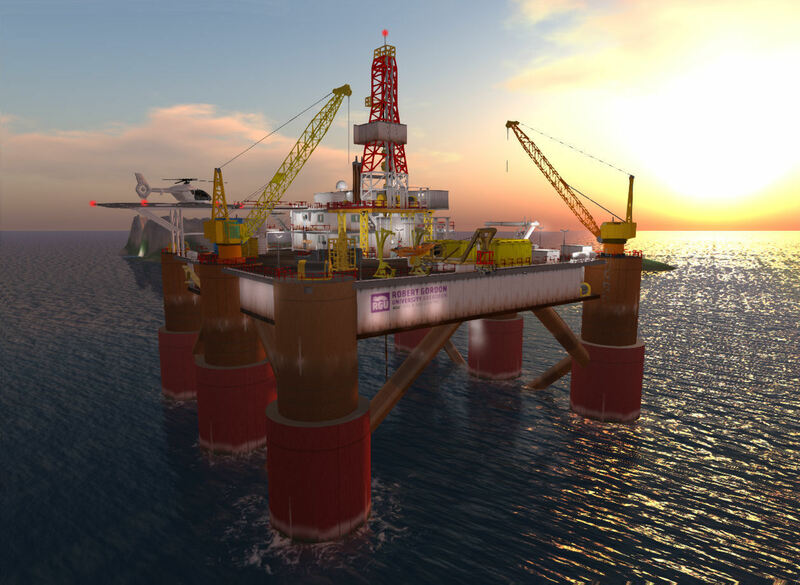 As described before in this blog post, the Oil Rig region appears on OpenSim in both OSGrid and the AILand grid. 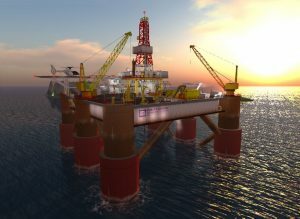 It contains a Robert Gordon University (RGU) mesh oil rig and sea bed components created by Colin Hetherington. It is an environment for training and familiarisation for offshore oil rig workers at the RGU Oil & Gas Centre in Aberdeen, UK. It is typically used by one or two trainers in world with 3 or 4 students at a time, though the capacity easily allows for larger class sizes and observers as necessary. 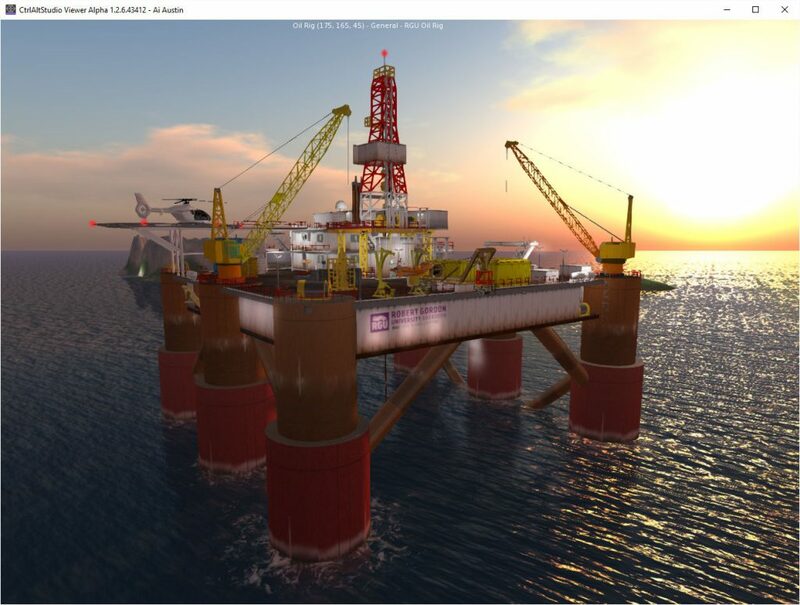 The Oil Rig region on AiLand grid (and OSGrid) has 9,470 objects or equivalent land impact. 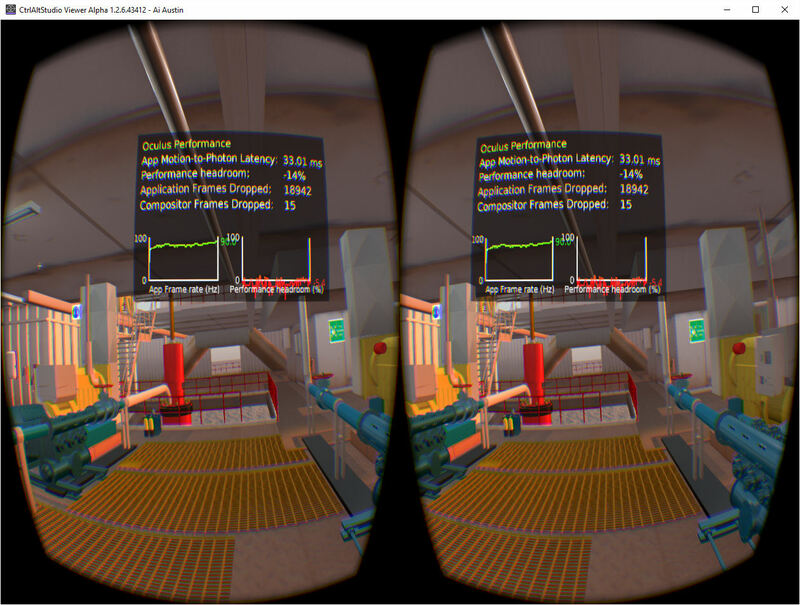 Note that, in the VR image above, with Ultra graphics settings including all shadows turned on the frame rate is 45fps (exactly half of the maximum that the Oculus CV1 can run at). 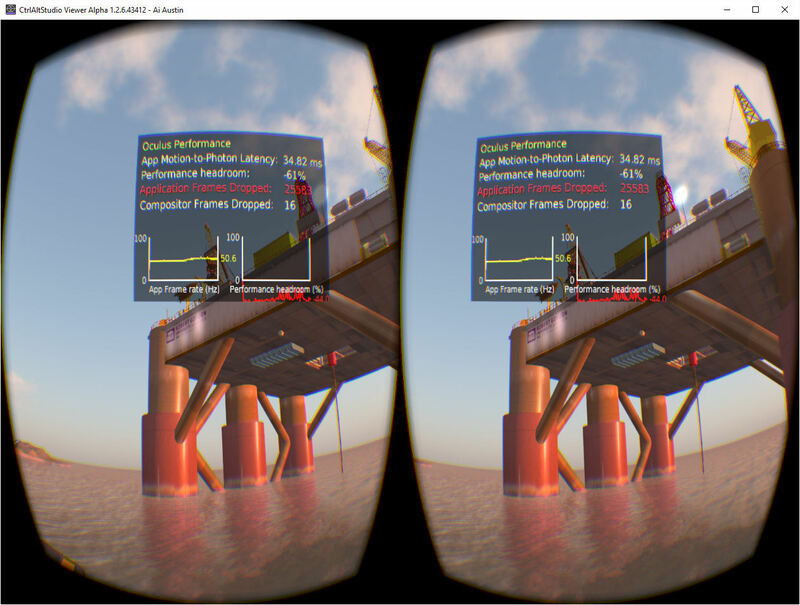 Frame rates in all the tests shown below generally varied between 45 and 70 frames per second, with an occasional rise to 80 to 90 FPS when simpler objects were in view and the viewpoint was not changing rapidly. 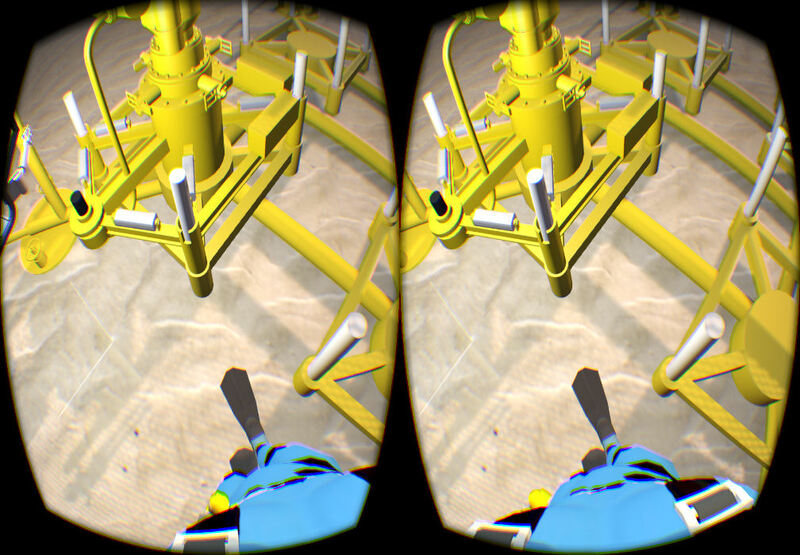 These areas of the oil rig have realistic sound from equipment, some of which is very noisy and requires ear defenders in real life. 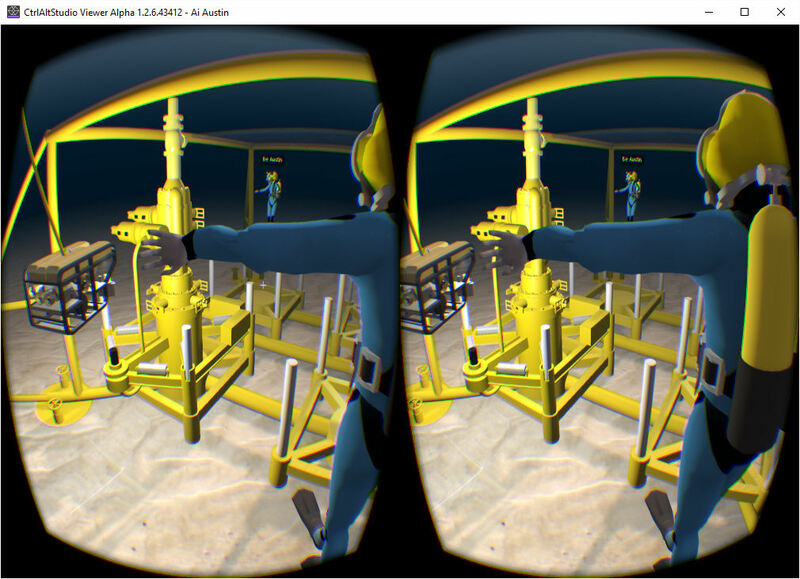 ear defenders are required wear (with a hard hat) in the virtual training environment too. pick your up on deck and wear them if you visit! 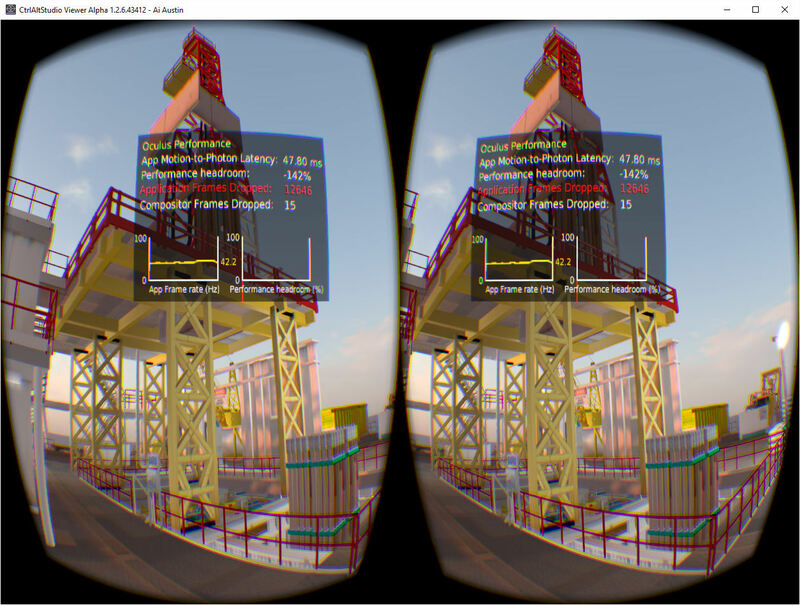 The left hand images are taken with “Ultra” graphics settings including shadows, and the right hand images are taken with “Ultra” graphics settings and no shadows. 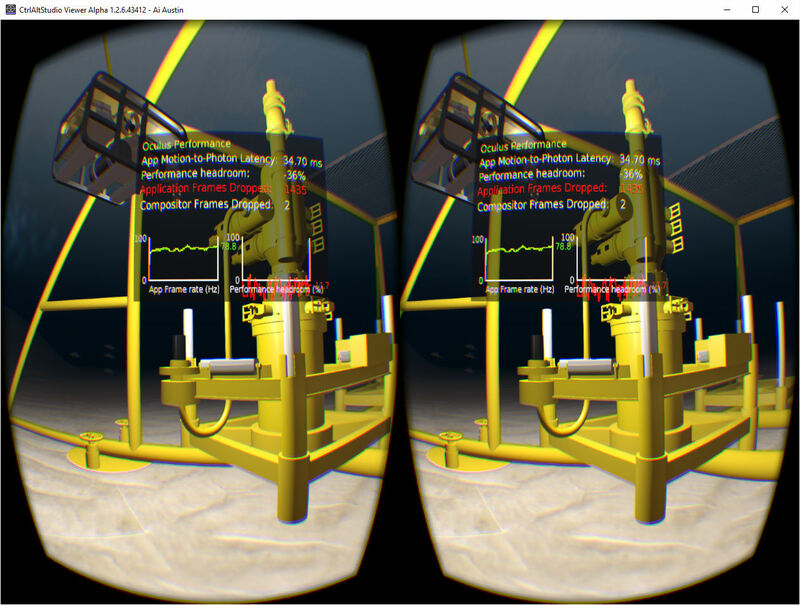 The latter showing higher frame rates. 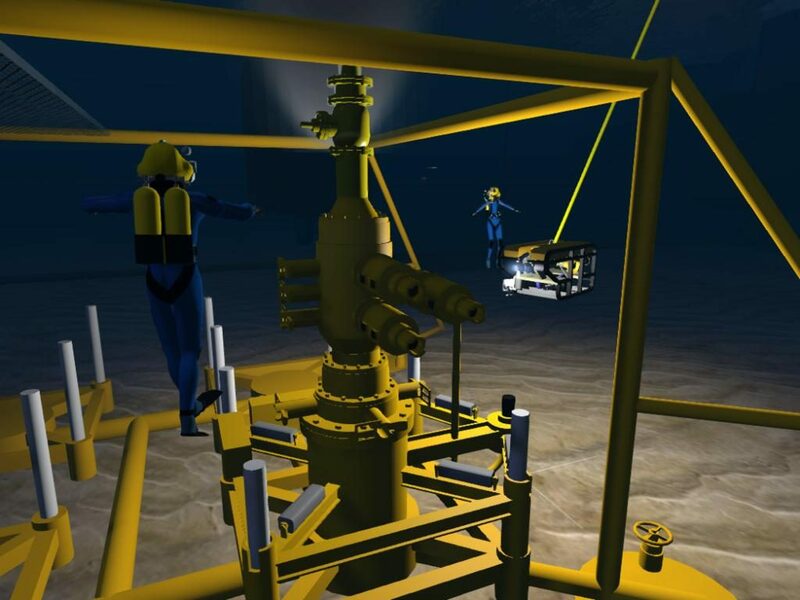 This sea bed piece of equipment showing a leak and various technical pieces of kit used in diving and remotely operated repairs is a great example of just how good virtual reality already can be in Second Life and OpenSim today. 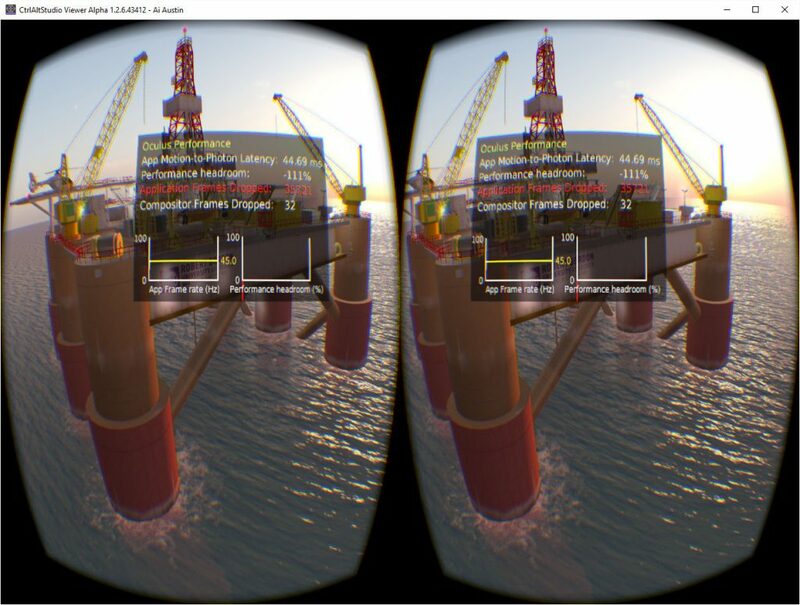 It has to be experienced to see just how realistic it looks via the head mounted display in VR. 3D directional sound works really well here too. 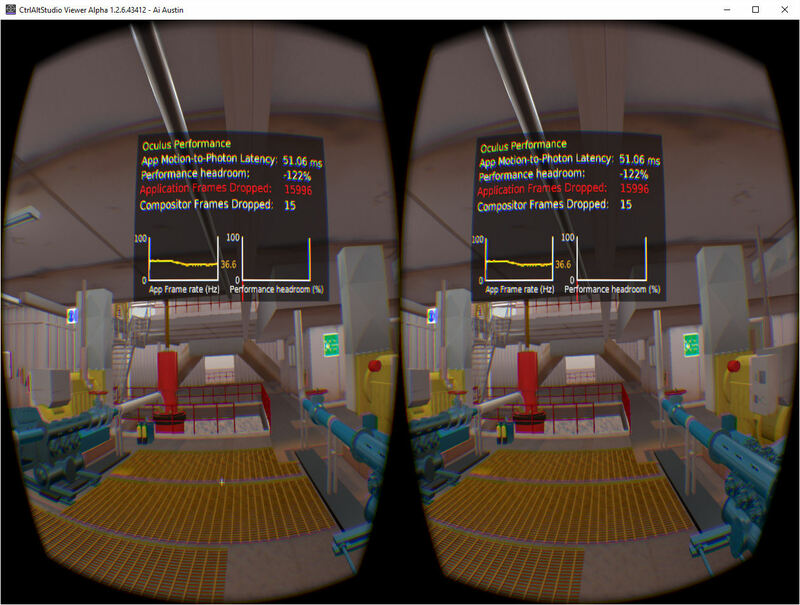 When in Riftlook/VR mode you can shift between 1st person perspective where you see through your avatar eye position and can look down to see your avatar body (that can be turned off in a preferences setting) and 3rd person perspective where your avatar is visible ahead of you, and you can move your camera independently of the avatar position and direction. 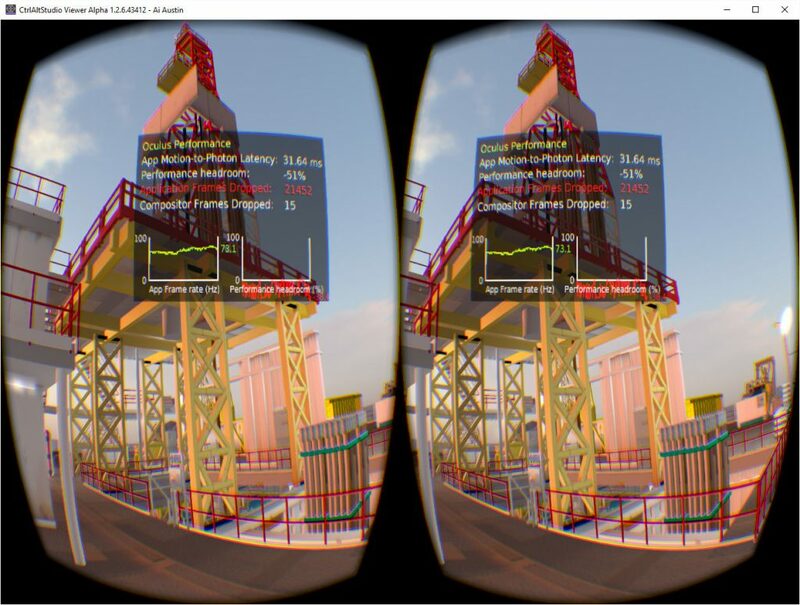 These images are taken with Ultra graphics settings and all shadows on. 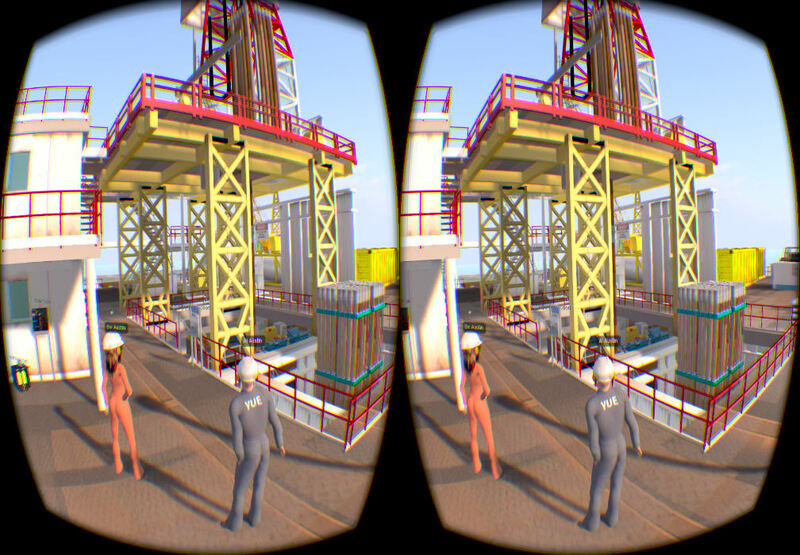 This entry was posted in Oculus, OpenSim, Second Life, VR and tagged CtrlAltStudio, Oculus, Oil Rig, OpenSim, RGU, Rift, Second Life, VR. Bookmark the permalink.